"It's time to stop the whine." There, I said it. It's something I've wanted to say to my fellow baby boomers for quite some time. We're already known as a generation of navel gazers — folks who talk about their feelings and all the ways things should be and could be and used to be without doing much to make them better. We need to stop our hand-wringing and whining about how the world "is going to hell in a hand basket." Instead, let's do something about it. Let's make a difference in the future like we once dreamed we could do. Let's leverage our income, our capabilities, our vitality, our time, and our later life passions to share faith forward. Go back to the words of Psalm 71. Why ask God not to abandon us? Notice that it is NOT so that we can have a better retirement income and economic security. It is NOT so that we can have good health and a comfortable lifestyle. 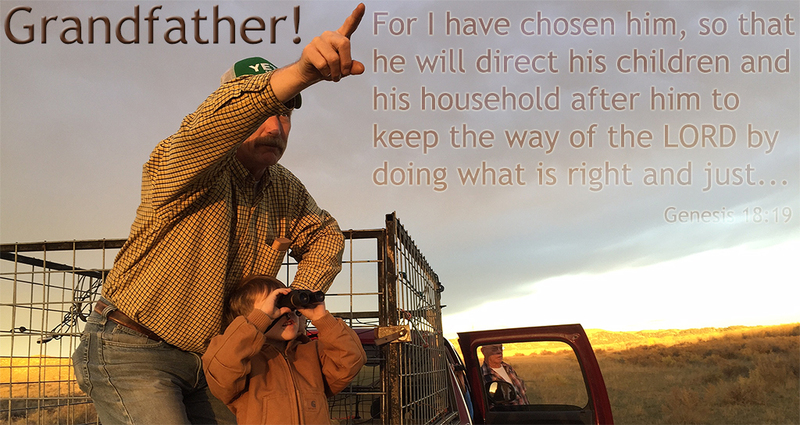 It IS so that we can proclaim God's power and his mighty acts to the generations who follow us! After that whole generation had been gathered to their ancestors, another generation grew up who knew neither the LORD nor what he had done... (Judges 2:10). Why had younger generations grown up and not known the great things the LORD had done? Why had they grown up and not known the LORD? They didn't know God; they hadn't experienced the LORD's power because their parents and grandparents were busy building their homes, charting their careers, and gaining wealth in their new land. In the middle of building their futures, the generations before the unbelieving generation had forgotten to risk for the LORD and experience the mighty hand of God in their lives. Their children were deprived of the thing they most needed: God experiences in their day! If younger generations today are looking for God experiences, let's help these coming generations have them. Let's invite them to go on a mission with us. Let's support them in their passion to serve Jesus in what might be unorthodox and risky ways. Let's join with them in making a difference in poverty, social inequality, prejudice, the digital divide, hunger, unclean water, human trafficking, street kids, and caring personally for the plight of refugees and displaced people. Let's follow their example of service and join them in the gritty work of loving the very kind of people Jesus loved. Let's ask them how we can help them in their passions to serve Jesus in their world. Let's support them in their efforts with our time, money, encouragement, prayer, involvement, and affirmation. I want to make my last third of life matter for the Kingdom of God. I don't want to just mindlessly pray, "Your kingdom come, your will be done on earth as it is in heaven." I want that prayer to be my war cry as I seek to bring God's Kingdom character and compassion to life in today's world. In all the places I live, travel, and touch, I want to leave a Jesus imprint. More importantly, I want to invite the coming generations to join me in my life, travel, and touch in the name of Jesus. I want to join them, and invite them to join me, and experience God's "mighty miracles" in our day. I don't want to talk about the "power" and "mighty miracles" of God only in the past tense. 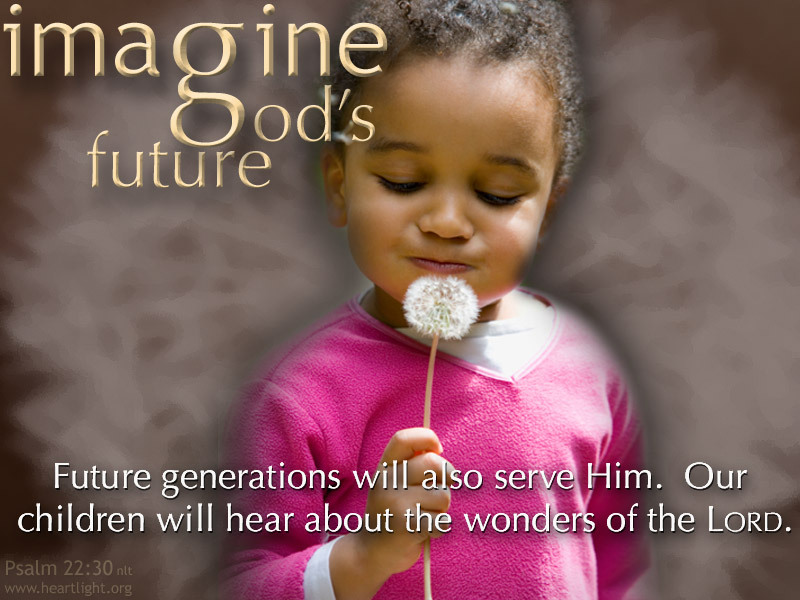 I don't want my grandchildren and their generation hearing just about what God did a long time ago. I want them to experience God's power and deliverance in action. I want them to experience the Holy Spirit making them better than they are while they are serving others in the name of Jesus. We're here today to share faith forward. It's time for those of us who are older to quit demanding that church be about us, for us, and to please us. We're here today to share faith forward. It's time to stop the whining and start expecting God to do great things with us, through us, and among us. It's time to seek these God moments while inviting future generations to experience the LORD's presence and power with us. 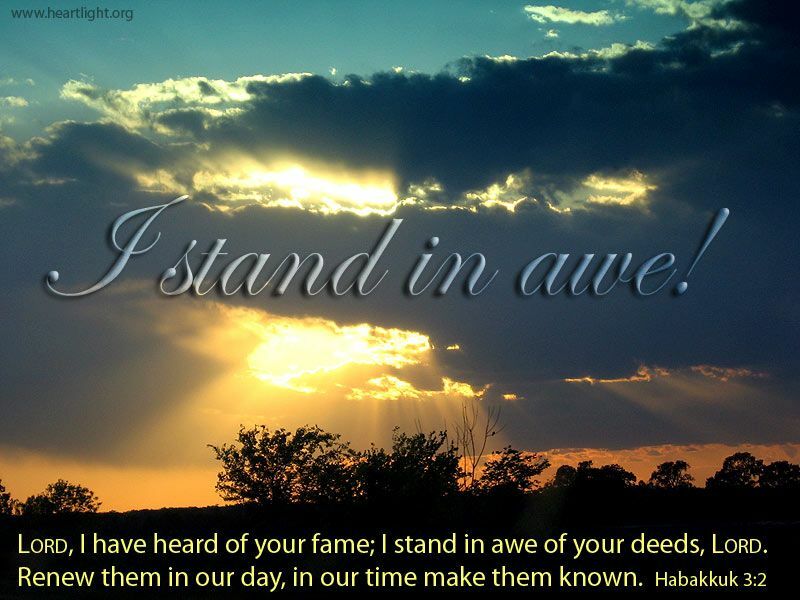 Yes, LORD, we know of the great things you have done in the past, but today, for us and for the generations who come after us, we ask that "in our time make them known"! "Time to Stop the Whine" by Phil Ware is licensed under a Creative Commons License. Heartlight encourages you to share this material with others in church bulletins, personal emails, and other non-commercial uses. Please see our Usage Guidelines for more information.